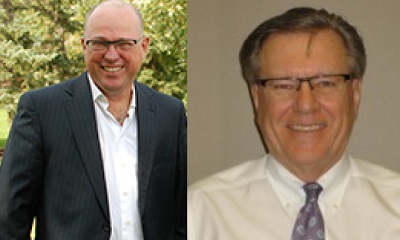 Two former Saskatchewan public servants have been announced as the new Executives-in-Residence for the Johnson Shoyama Graduate School of Public Policy (JSGS). Doug Moen, the former Deputy Minister to the Premier and Cabinet Secretary, will officially begin with JSGS on November 1, 2016. Previously, Moen served as the Deputy Minister of Justice, and Deputy Attorney General. Ken Acton, the former Special Advisor to the Deputy Minister of Social Services, will also serve as an Executive-in-Residence, on a part-time basis while also leading lead governance programming for JSGS Executive Education. “Both of these men have a remarkable history of working in the public sector,” said Dr. Kathleen McNutt, JSGS Executive Director. Moen graduated from the College of Law, University of Saskatchewan in 1979, and held various roles in the field of public law and policy. His experience also includes two years working at the House of Commons in Ottawa in the early 1980s. In his new role, will teach a class, support the internship program and lead some executive training workshops. He will work out of the JSGS Regina campus several days a week. Acton has also held the titles of Deputy Minister of Social Services, and Assistant Deputy Minister for the Courts and Civil Justice Division of the Ministry of Justice. He will also be working from the JSGS Regina campus.